Savings bonds can be cashed in only by the owner, a legal representative or a beneficiary if the owner passes away. When a deceased parent has left you some savings bonds, you might be able to just hang on to them. If you need to cash in the bonds, it’s a fairly simple process. The complication you’ll run into is that the exact procedure used for redeeming savings bonds depends on the arrangements your parent made, so you’ll have to figure that out first. In order to cash in the bonds of a deceased parent, you will likely need to complete the bond redemption process in the presence of a bank official. Be sure to bring multiple forms of valid ID. Find out who owns the bonds now that your parent has passed away. If you are named on the bonds as co-owner, they are yours just as if you had originally been sole owner. If another living person is named as co-owner, the bonds belong to that person and you can’t cash them in. If the deceased parent was sole owner or the last surviving owner named on the bonds, they become the property of the parent’s estate. Take the savings bonds to a bank or other financial institution if you are now the owner, or if your parent named you as survivor beneficiary on the bonds. Fill out the redemption form on the back of the bonds and sign in the presence of a bank official. You need to bring a driver’s license or other proof of identity with you. If you are named as survivor, you also have to present proof of death. Usually this is in the form of a certified copy of the death certificate. The bank will cash in the bonds and give you the money. Turn the savings bonds over to the executor of the estate if no survivor is named, and a probate court will determine who gets the money. This is mandatory any time the savings bonds have a total value of $100,000 or more as of the date of death. 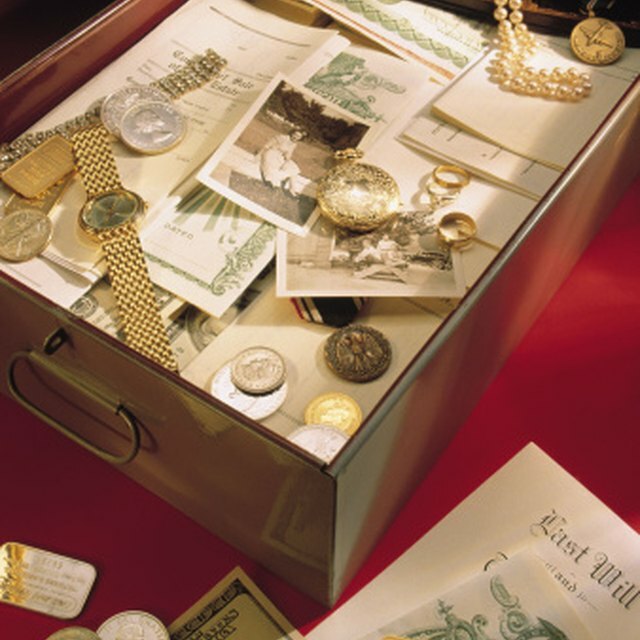 Once the court reviews the estate, the executor is the one who cashes in the bonds and distributes the money according to the terms of the will or the court’s instructions when there is no will. Fill out Form PD F 5336 when no court is involved, the bonds aren’t handled under state small estate laws, and there is no named survivor. Form PD F 5336 is available in downloadable form on the Treasury Direct website. Take the completed form, the bonds, personal identification and proof of death to a bank or other financial institution, and sign the bonds and form in the presence of an authorized bank officer. Mail everything to the Bureau of the Fiscal Service using the address given on the form. Your bonds will be redeemed and the money sent to you. Obtain a small estate affidavit when no survivor is named and the bonds are handled under special state rules for small estates, rather than through a probate court. Treasury Direct says state laws on this point vary a lot, so you’ll probably have to ask a local attorney or state agency for guidance. The affidavit will either state which heir gets specific bonds or leave it up to you and other heirs to sort it out amongst yourselves. Fill out Form PD F 5394 and sign in the presence of an official of a bank or other financial institution. Send proof of death, the form and the bonds to the address provided on the form. Once the redemption is processed, you’ll be sent your money.